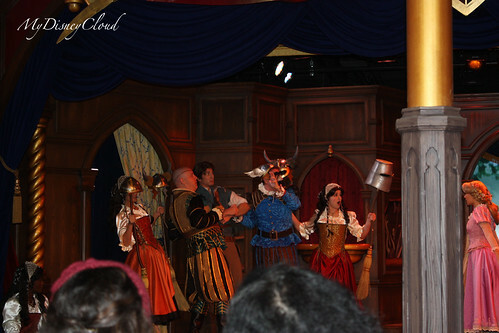 Fantasyland Faire at Disneyland was an overall great experience. 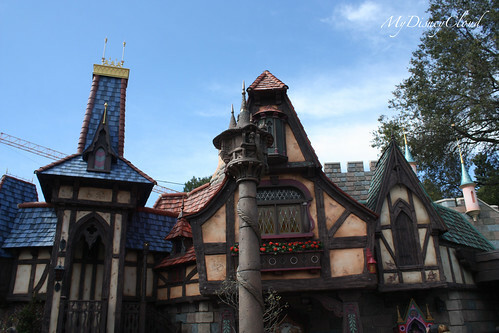 I did like how there was so much detail in every building, from Rapunzel’s tower to the owl post carving. 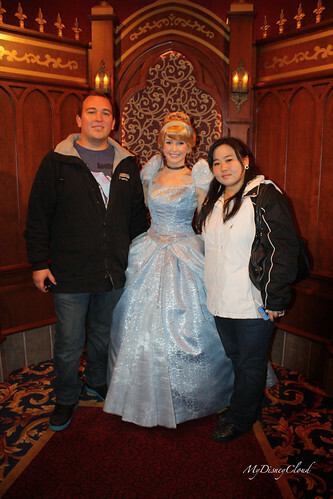 Besides meeting the Princesses at the Royal Hall. Like Cinderella she would have a backdrop of the castle or some white drapery going on, but instead it was a fluid setting as shown in the images above and below. 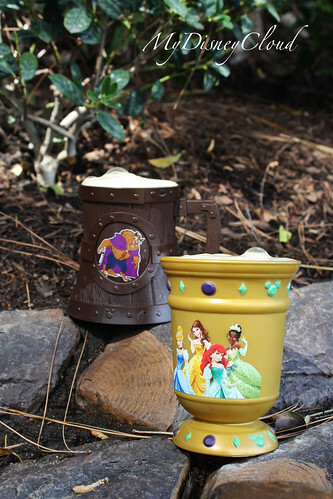 One of the best parts of Fantasyland Faire were the snacks at Maurice’s Treat and they had the Boysen Apple Freeze in stein or goblet mugs for $9.99 which was sold first at Walt Disney World’s New Fantasyland. Maurice’s Treats have some tasty twisty snacks and delicious drinks. The Royal Theater was amazing! The cast were funny and very enthusiastic. The only downside, was where we sat… in the Middle, so don’t sit in the middle seats or else you’ll have a pole in the way of the show. Don’t ever sit in the middle! All the music was down by piano which was amazing, just like in a real theater setting. 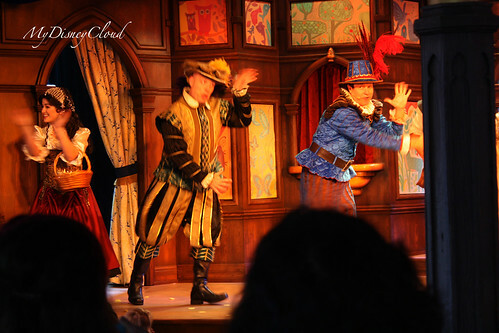 The narrators and hosts of the Royal Theater were fit for the parts they played in the theater and kept the audience laughing. 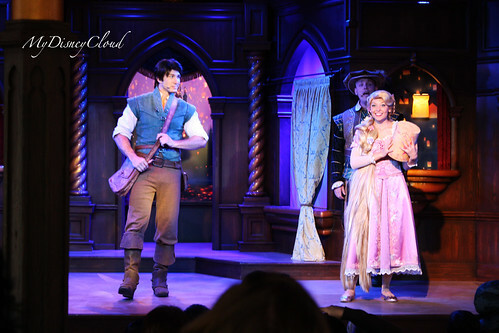 The play was based on the storytelling of the Princess’ story like Tangled or Beauty and the Beast that day, each show changed– we had the storytelling of Tangled. 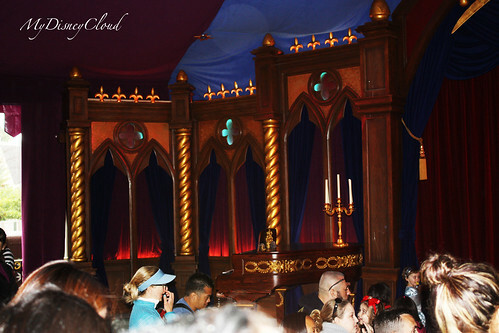 I left feeling happy and very pleased, I do recommend going to Fantasyland Faire if you have kids that love Princesses, if not, I would definitely recommend going to the Royal Theater to see the story of the Princesses. It was surprisingly funny and kept me engaged into the show. 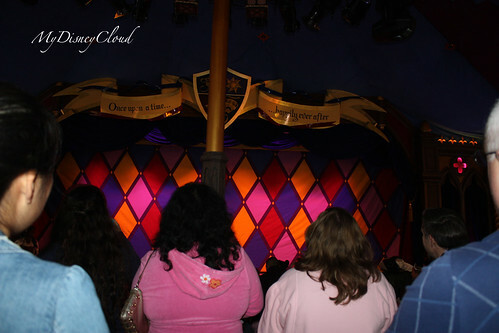 This entry was posted in Disneyland and tagged disneyland, fantasyland faire, fantasylant, hall, maurice, royal, theater by JNYFAV. Bookmark the permalink. I loved seeing Fantasy Land in Disney World!! Lucky! 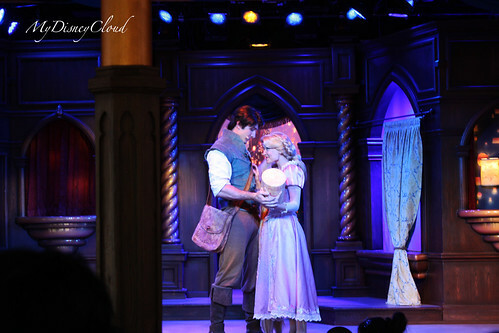 I wish I could be there, the one in Disneyland is just a little teaser for the real thing lol. I wish this had been there the last time I was at Disneyland. But, that was several years ago. Guess it’s time for another trip! Too far for Disneyland – we are in TN so the World is the only place we go. 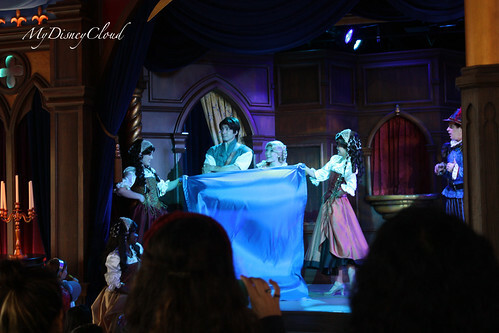 Wish they had a Razunzel theater show there ! It sounds amazing!